Last Friday’s Sugar bowl marked the end of an era for Gator Nation. It was the last game for one of most accomplished classes in Gator Football history. Tim Tebow had an amazing run as the quarterback for the University of Florida. He won the Heisman as a sophomore. I really wasn’t in favor of Tebow winning the Heisman as a sophomore because I believe the award should be reserved for seniors. Yes, I think players shouldn’t be allowed to go to the NFL until at least after their junior year. 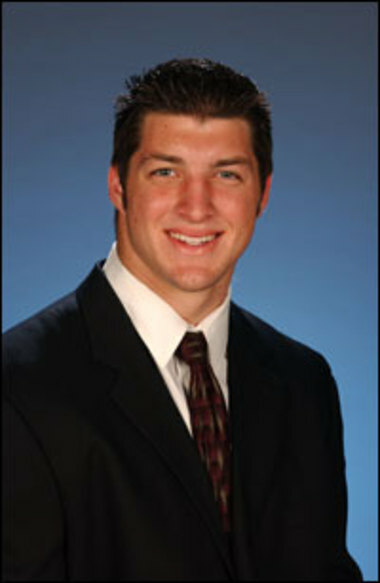 Tebow also graduated in December 2009. Graduating in 3 1/2 years is accomplishment for any student especially an athlete. Quarterbacks are supposed to be the field general and a team leader. Tebow embraced that role both on and off the field. Under Tebow’s leadership the Gators went 35-6. After the Gator’s only loss in 2008, Tebow took responsibility for the loss and promised to do better. Tebow was not the only player on the field but as the quarterback he accepted responsibility. Tebow is very humble after a win sharing the glory with teammate. Off the field the Gators have volunteered more since Timmy became the starting quarterback. Even Urban Meyer and his family participated in a mission trip. I have heard a lot of talk in the media about how Tebow isn’t cut out to be a quarterback on a pro team. The Big Guy has tried to explain it to me. Tebow has proven that if given a chance he will work hard and I believe excel. Personally, I would like to see more good guys like Tebow in professional sports rather than spoiled brats who cause problems.